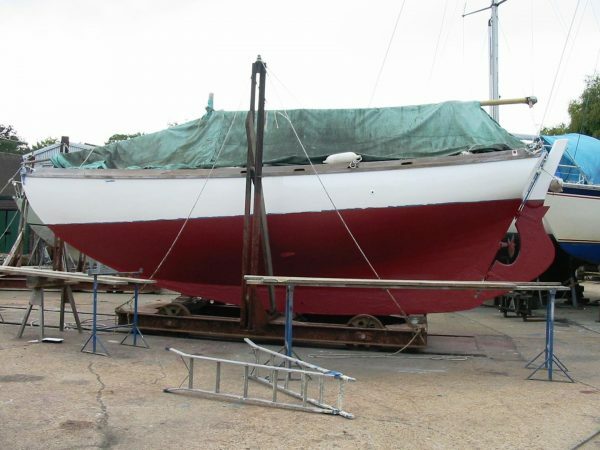 ….. Sold – May 2014 …..
On the market for the first time in forty years is ‘Alexa’ Ex: ‘Envys’ an 8.5 ton TM Bermudian Cutter built to Harrison Butler’s Askadil design. 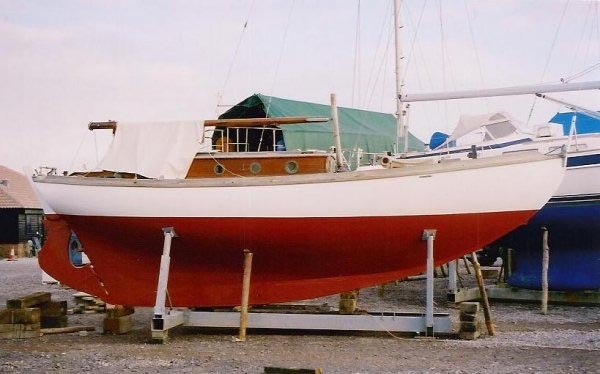 Constructed of first-class materials and with a high standard of workmanship this is indeed a rare opportunity to acquire one of the much coveted larger HB designed metacentric yachts. 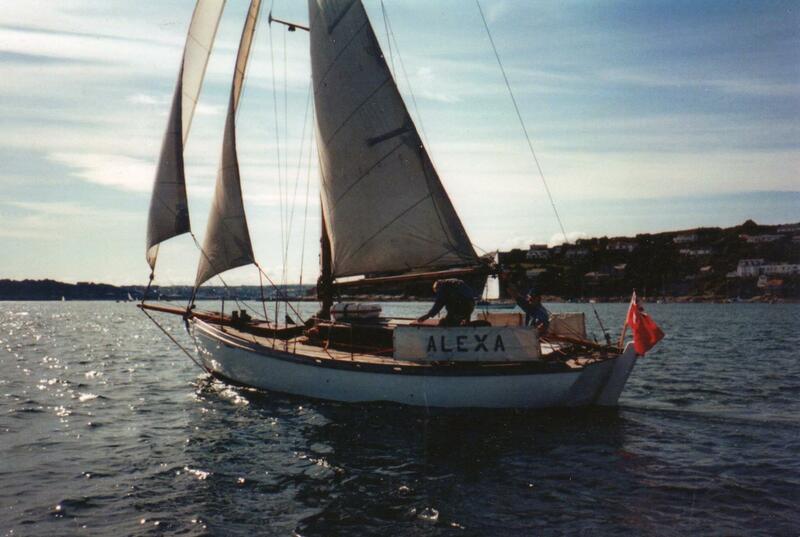 When built in 1934 Alexa was first owned by Dr. G A Gassman and later by Dr. W Brownlow-Smith. 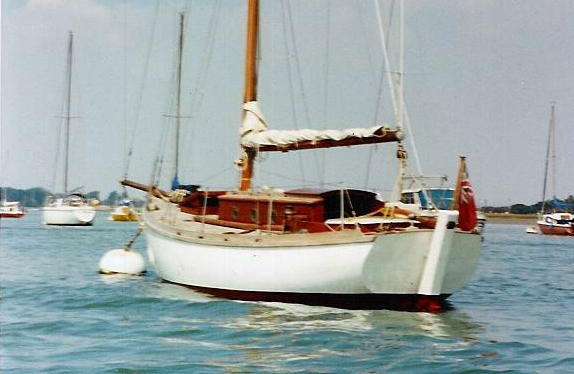 After the war Lt. Col. Mitchell became owner selling her in 1958 to the well-known yachtsman Capt. 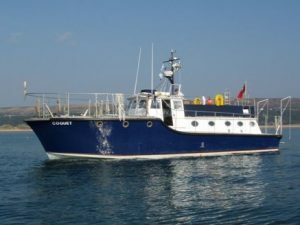 C W McMullen DSC RN who changed the vessels original name from ‘Envys’ to Alexa’ in memory of his Aunt who financed the venture. 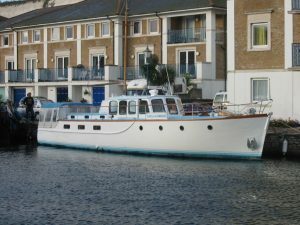 Mcmullen’s cruising adventures are recorded in the Royal Cruising Club Journals for which he was awarded the RCC Challenge Cup for an Eastabout Cruise of the United Kingdom in 1958. 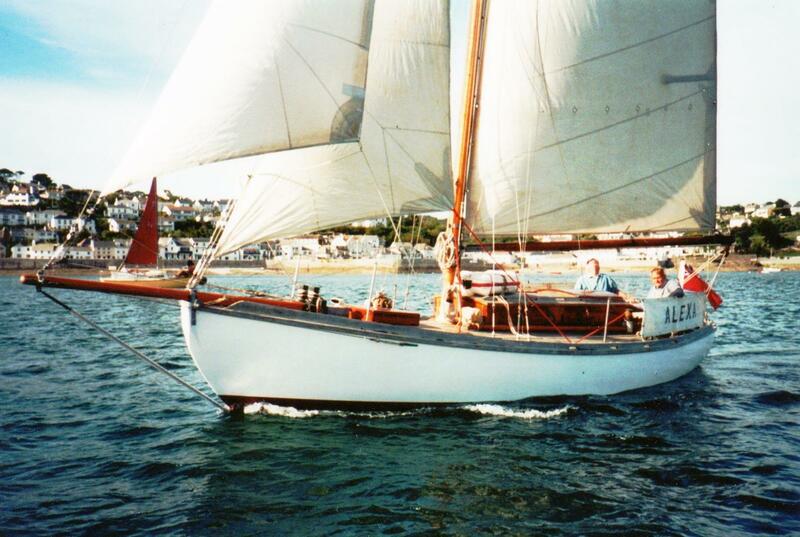 In the early 1970’s Rear Admiral R S Warne CB CBE acquired the vessel together with the current owners. Alexa has been a registered British Ship since launching. 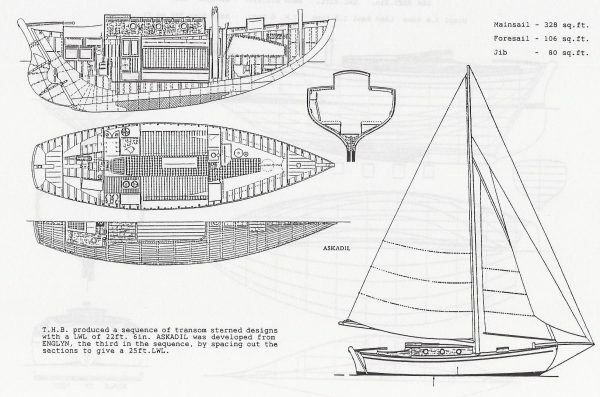 The Harrison Butler Association, with currently two hundred members world-wide is dedicated to yachts designed by Dr. Thomas Harrison Butler. Full membership is available to owners or past owners of authentic boats and associate membership open to anyone with an interest in THB’s designs. 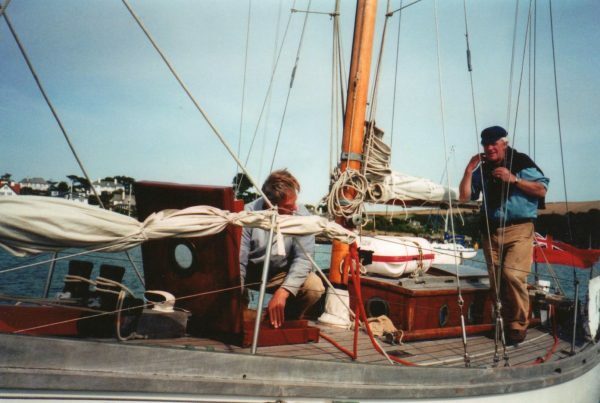 Members meet throughout the year at the various classic boat events and for lunches, the AGM and a laying-up supper in September. 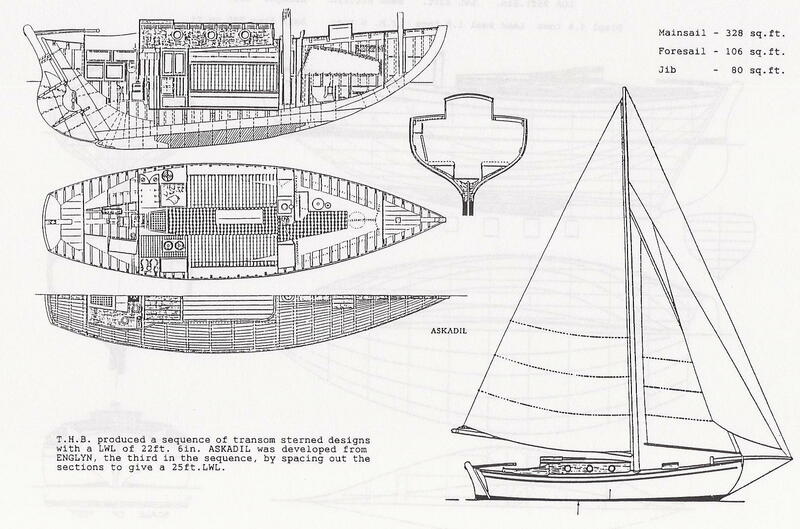 The Journal of The Harrison Butler Association is published bi-annually together with a Year Book. 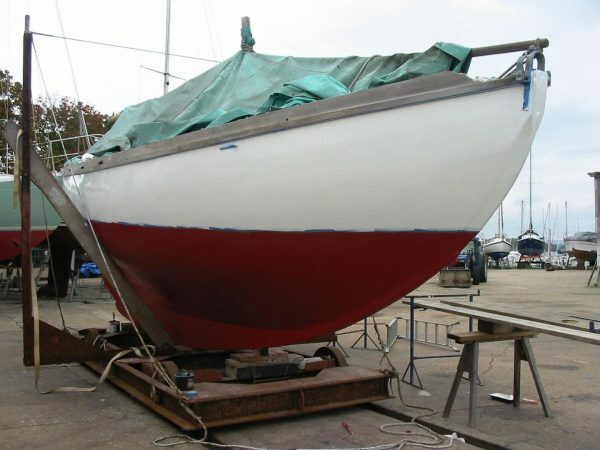 Burmah teak hull on oak, copper fastened, lead keel, teak coachroof coamings, brightwork and rails. 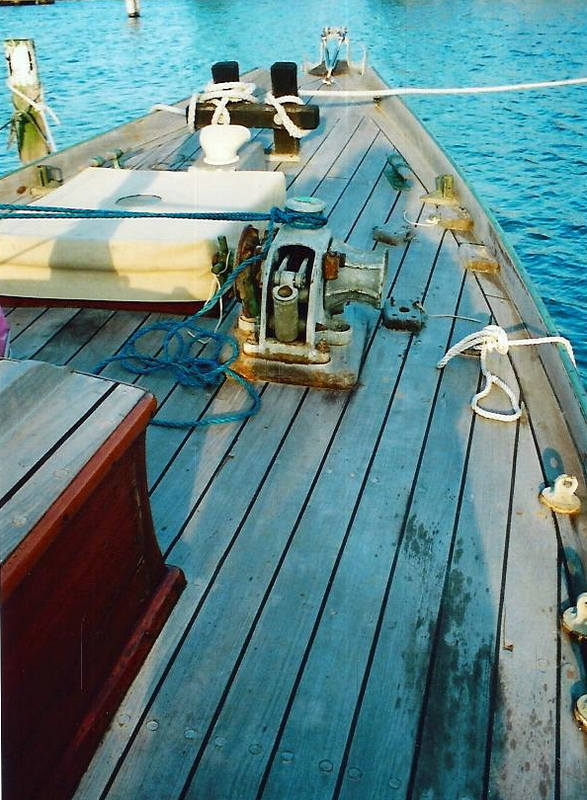 Re-laid original teak decks. Traditional interior with teak joinery and white enamel paintwork. 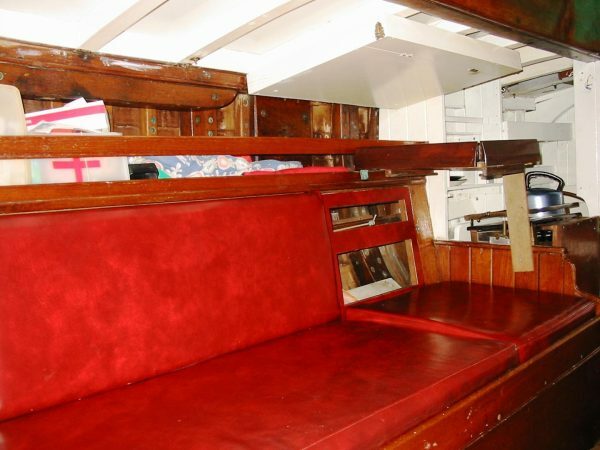 10′ saloon with excellent headroom and two full length (6’2″ x 23″) settee berths to port and starboard with upholstered panelled backs with storage lockers behind. Generous cabin sole with space for additional impromptu berth as intended by the designer. 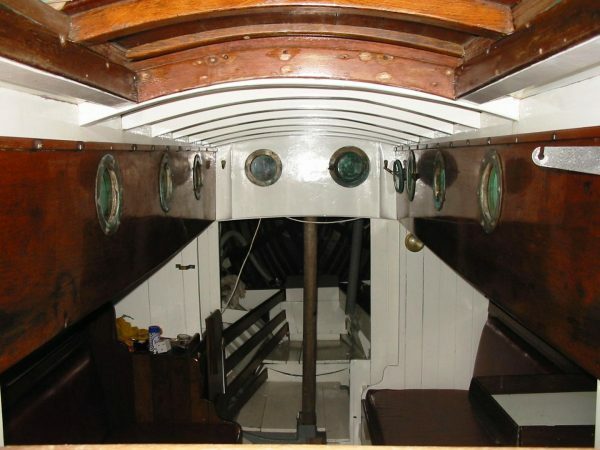 Aft galley with Taylor’s two burner paraffin stove with oven. 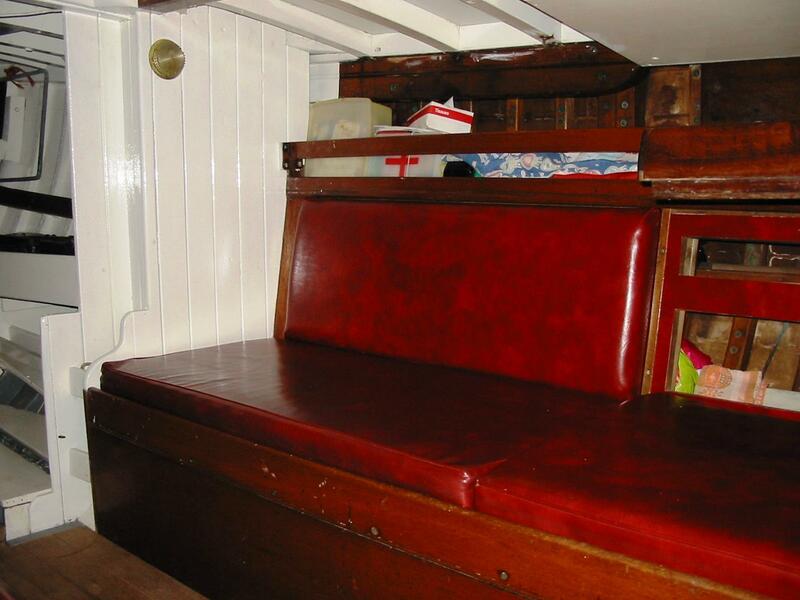 Hinged side table, various shelves and pantry lockers. 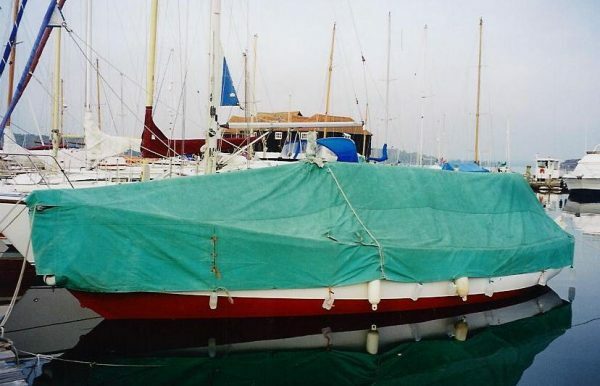 Fo’c’sle with single berth (6’4″ x 23″), pipecot (6′ x 17″), Baby Blake heads, sail bin, stowage and fore-hatch. 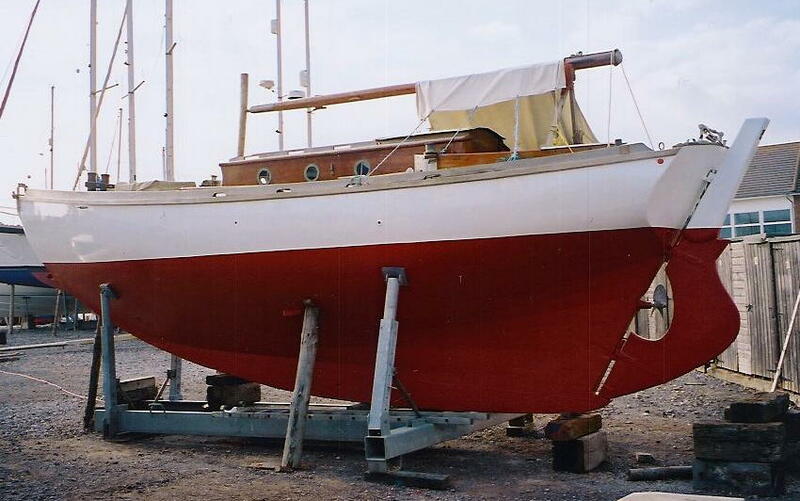 Keel stepped Sitka-Spruce hollow mast and Oregon-Pine spars. Five sails, Jib, Staysail, Genoa, Yankee and Main Sail. 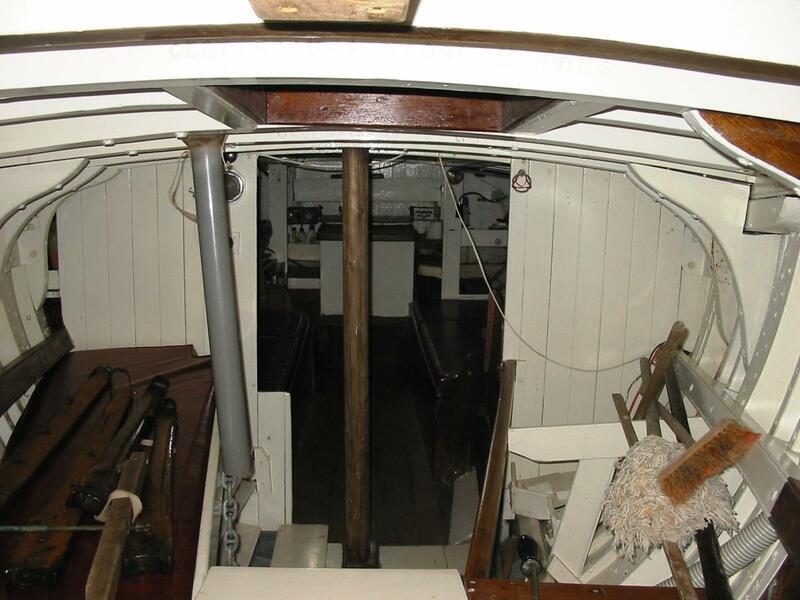 Kelvin Hughes VHF, Seafarer Sounder, Simpson-Lawrence windlass, CQR with 29 fathoms of double link chain. Fisherman Type anchor with 50 metres nylon and 4 metres of chain. Beaching legs, two hand bilge pumps, fenders and warps, fitted winter cover, hatch covers, mainsail cover, capstan cover and cockpit tent cover, deck stanchions. 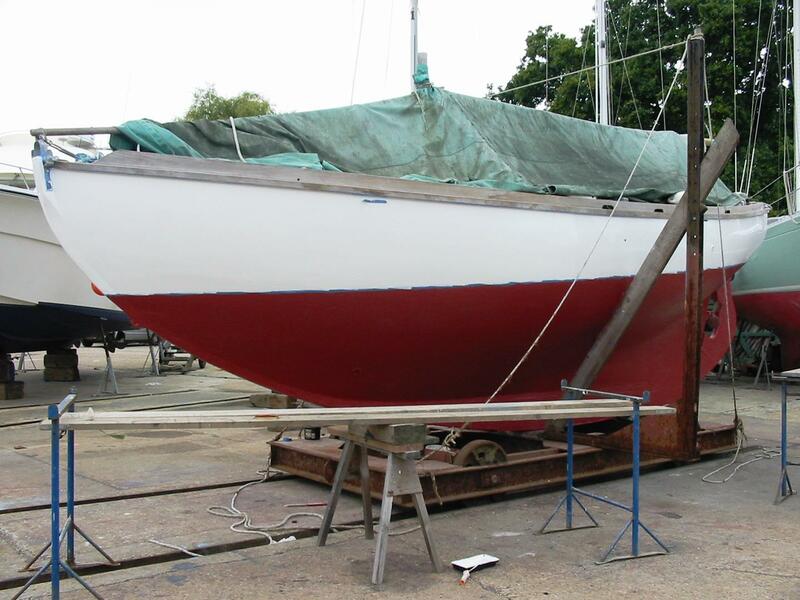 Full inventory available. 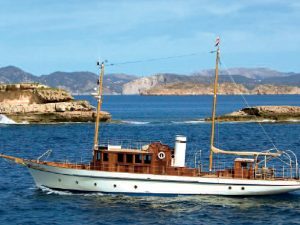 Alexa is without doubt a very special yacht indeed, wonderfully preserved in fine original condition and a capable and proven cruising vessel. Currently owned and sailed by former chairman of the Harrison Butler Association and his wife for the past forty years. 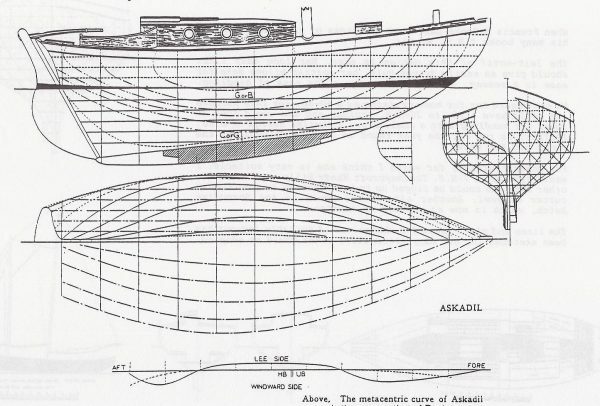 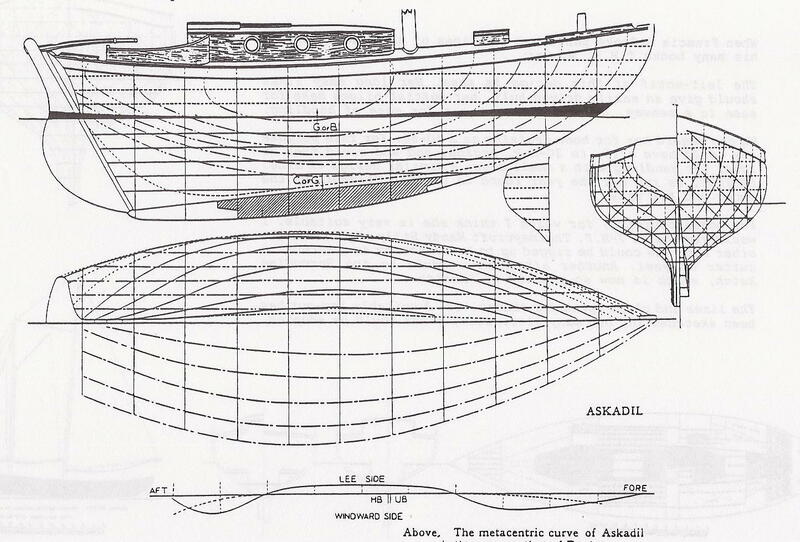 The Askadil design was considered by THB to be his most successful design and combines all the most desirable features in a cruising yacht with beauty of line. Maintained in excellent order. 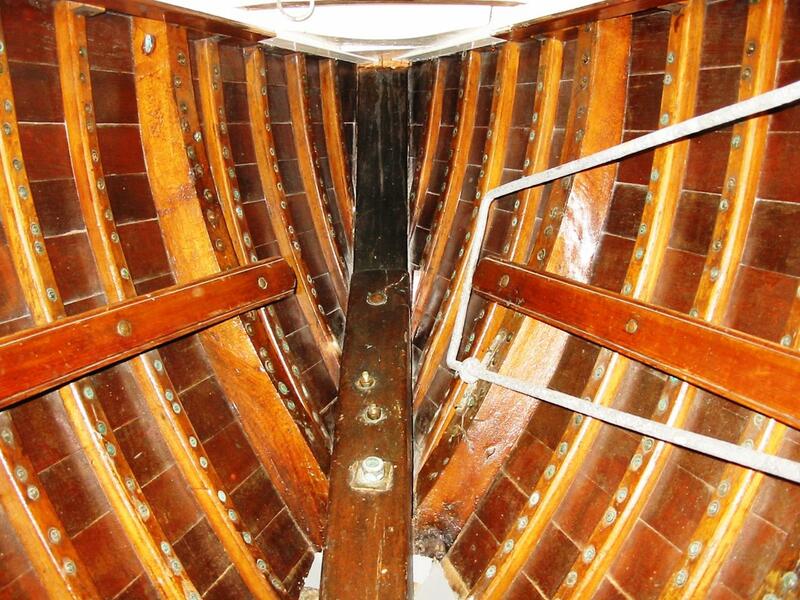 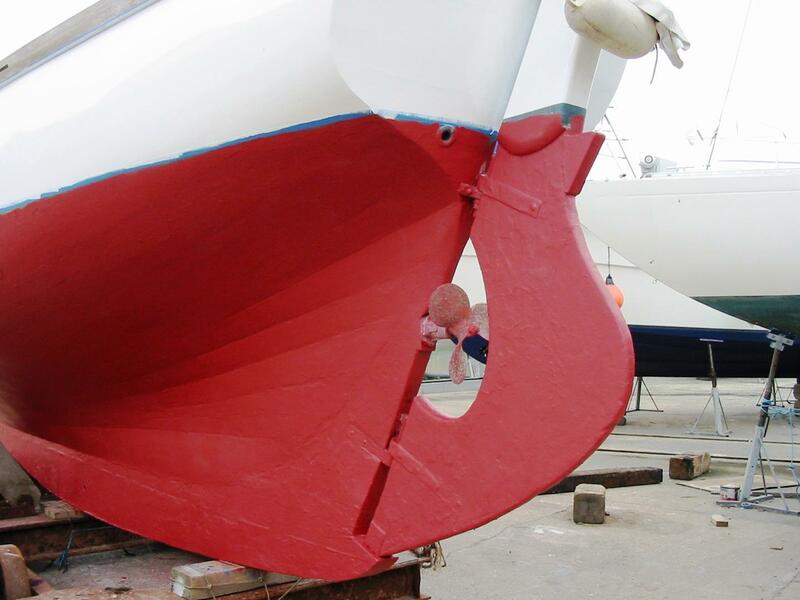 Regular professional re-paint of hull and re-varnish of brightwork and spars.